I discovered science fiction while a high school. As it was always intended to do, the genre fired my imagination aided me to looking beyond the every day world I inhabited and explore the infinite possibilities of what the future might bring. This was the early 60s, the amazing leap from turn century flight to the world reaching for the Moon had all happened within relatively short moment in human history. And I was discovering new and amazing writers every day; names like Isaac Asimov, Ray Bradbury, Arthur C. Clark, Gordon Dickinson, Frank Herbert and Robert Heinlein. Among all of them, Heinlein stood higher on my list as his range of fiction went from the silly, to the sarcastic and eventually the political. In a unique voice, he mirrored the world we will lived in and skewered its shortcomings and lack of vision whenever necessary. In the distant future the moon has become a penal colony and convicts sent there work on giant tunnel farms producing wheat for the Earth’s population. As generations pass, the “Loonies” born there begin to chafe at their unjust servitude. Whereas gaining their independence is impossible until a computer tech named Manuel Davis discovers the giant computer that controls nearly all of the satellite’s functions has become self-aware; alive for want of a better term. Mannie dubs the computer Mike. Only then does the possibility of a successful rebellion become viable and when Davis joins forces with a political anarchist named Professor La Paz and a rebellious hellion named Wyoming Knott. Thus the book is about three humans and a computer waging a war of independence and it is masterfully written with many of Heinlein’s political views scattered throughout. It is a thought provoking adventure while at the same time offering a realistic view on the physical challenges that will face men and women who dare venture beyond the Earth’s bounds. In the course of a lifetime, I’ve read thousands of books. Most I’ve forgotten weeks after finishing them. A select group, maybe a few dozen became cherished whereas only a handful reached a point in my memories where it was necessary to go back and re-read them. 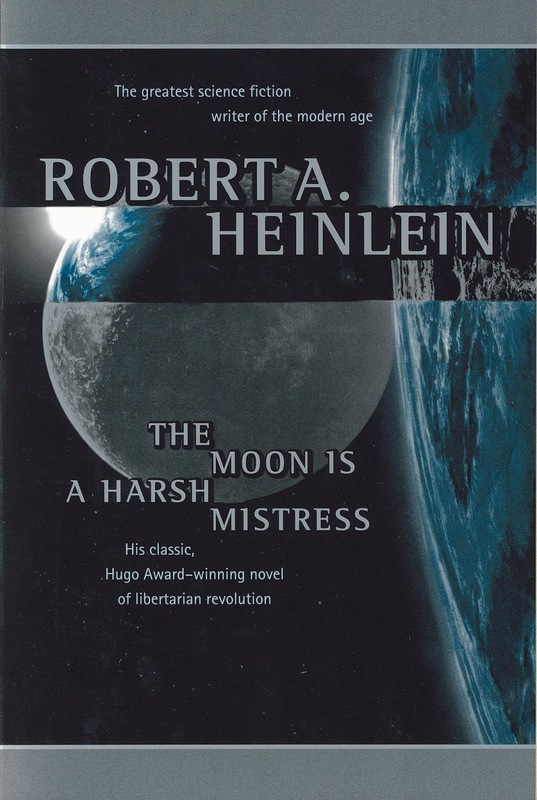 In re-reading “The Moon is a Harsh Mistress” over fifty years later, I realize it’s daring in challenging authority is what molded a great deal of my own life’s personal philosophies. Good or bad, it subtly shaped the way I think and see the world. Re-reading was very much like going home again.